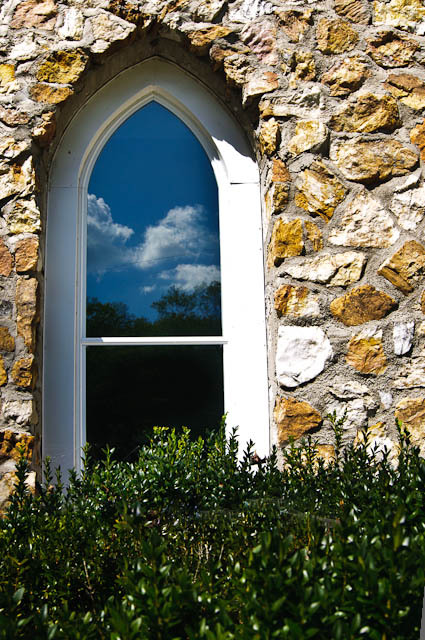 I recently discovered a 1920’s era stone church at the Mayberry community in the Blue Ridge Mountains, and liked the way the blue sky with clouds reflected in one of its arched windows. Since it’s Sunday, I could get all spiritual and talk about reflections on one’s life, etc., but I won’t. I already did. Nikon D300, processed in Lightroom v3.2.